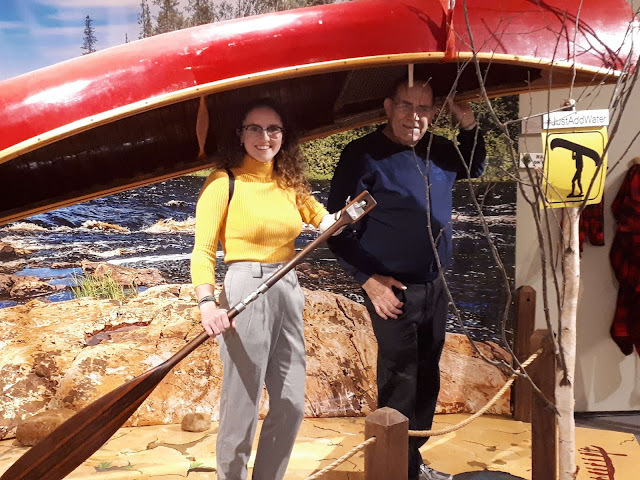 For an innovative canoe paddle design, check out the Dec 2018 blog post entitled, "A fitting paddle for Rachel" from the Canadian Canoe Museum. The piece outlines the story of Rachel Q, an accomplished young woman who uses a prosthetic on her left arm. 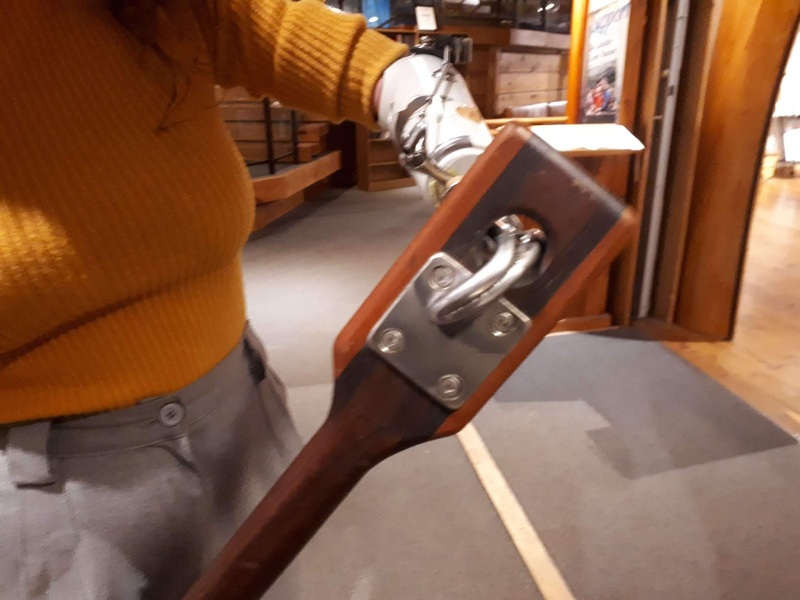 Paddle maker and museum volunteer, Rick Schuett, engineered a special paddle for Rachel which allows her to make make all the necessary correction strokes with her right while the prosthetic hooks securely on the grip. I happened to meet Rick during the 2018 WCHA assembly in Peterborough where he demonstrated the design to onlookers. 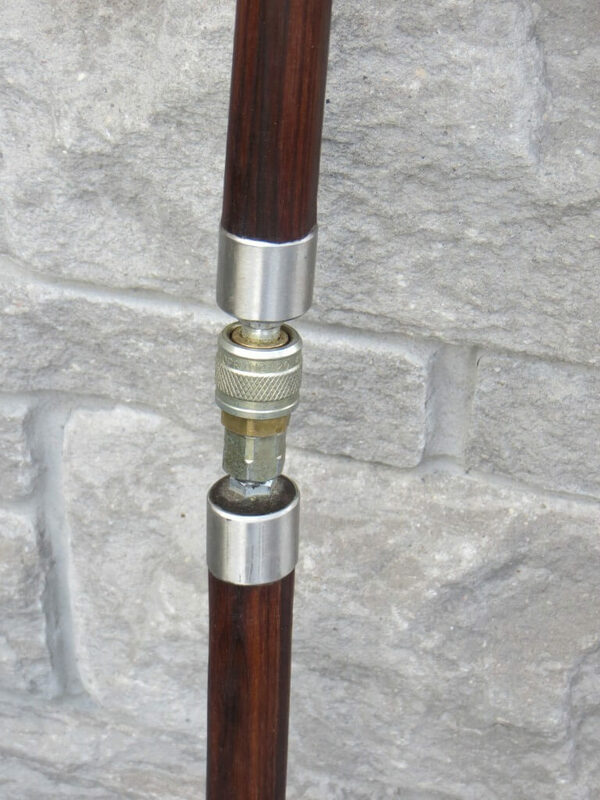 The rotating mechanism in the shaft was made from a modified gas supply line coupling.